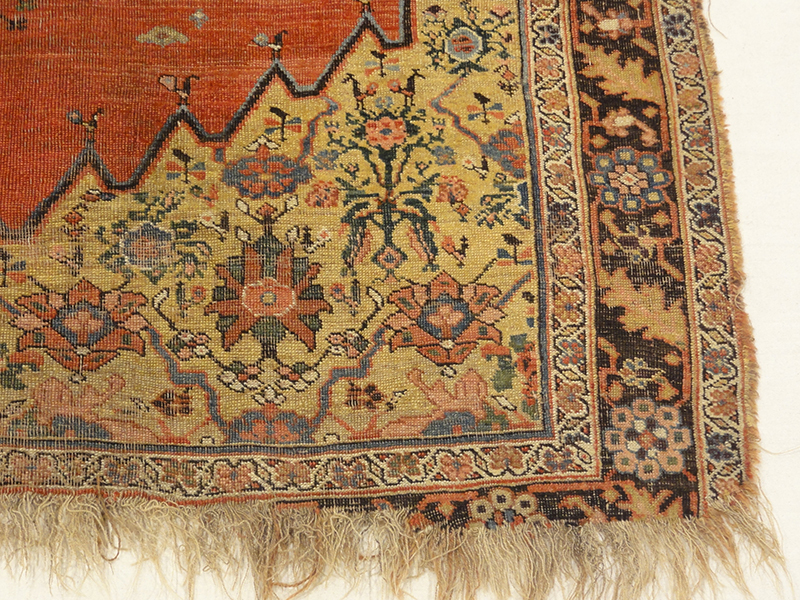 The sampler rugs are also known as wagireh. Made as a template with many pattern and carpet design. Production of larger rugs, they are generally small pieces the size of a scatter rug or mat. Although these rugs do not show the entire design, they only show the basic or fundamental portion of the various larger decorative elements of the field and borders. As well as, selected individual motifs, which could then be expanded according to established symmetrical repetitions to produce the complete composition. 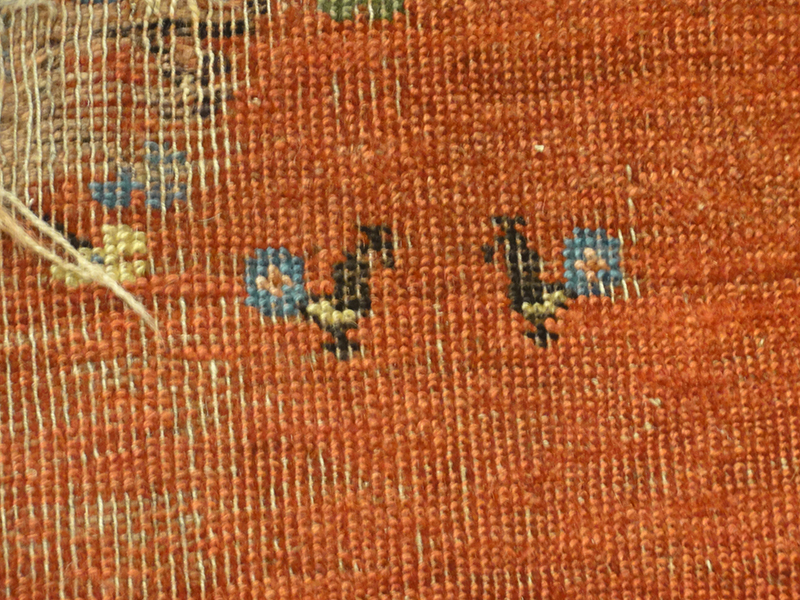 The answer probably lies in the completeness of the wagireh as a holographic shorthand for the finished carpet in all its aspects, not only the pattern and the knot count, but all the structural detail the spin of the yarns, the number of wefts, the thickness of the pile, the precise color and texture of the wool, and most of all, the exact relative proportion of all the elements, in one concise package. As such the sampler / wagireh evolved as more than just a pattern. It was to all intents and purposes a shorthand rug, abbreviated and abstracted to be sure, but a rug nonetheless. That is why wagirehs so often have the visual impact or effect of a complete rug, even though their designs are sometimes off-center, ignoring the rules of symmetry that normally govern ornamental rug design. The fact that complete borders, no matter how small, enclose the whole array induces us to read the wagireh as a framed composition rather than as a fragment or something incomplete. 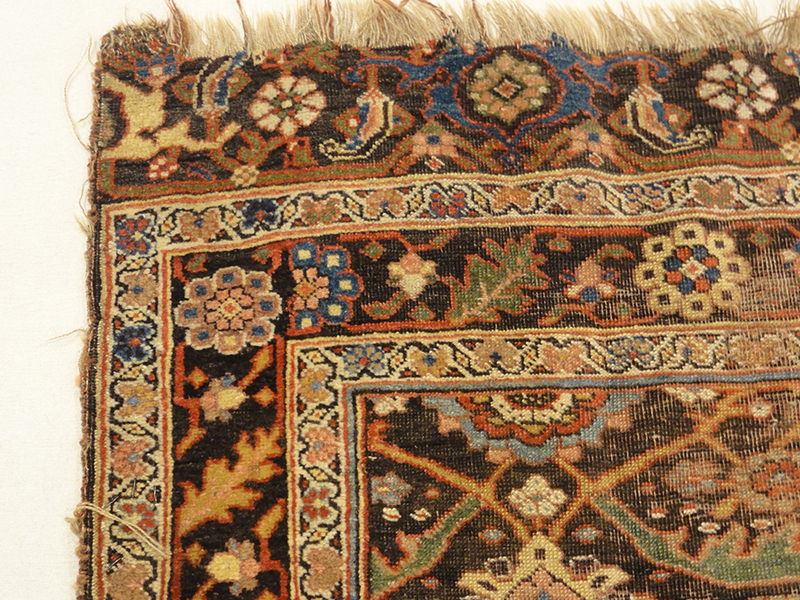 It is not difficult to see how this sampler, whose size is comparable to many a scatter-size rug, could readily serve as a beautiful piece of floor covering when it was not being used to guide the production of room-sized medallion garden carpets. The richness of its coloration and the tactile velvety quality of its wool would only facilitate this double function. When we consider the case of this particular Bidjar wagireh, it is no longer difficult to see why sampler rugs of this kind were made in lieu of colored sketches. 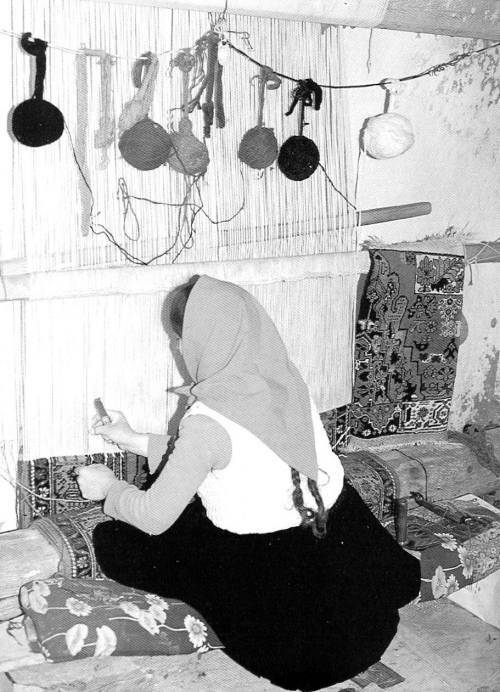 Rugs were produced by people who loved rugs, people for whom rugs were a fundamental feature of daily life. 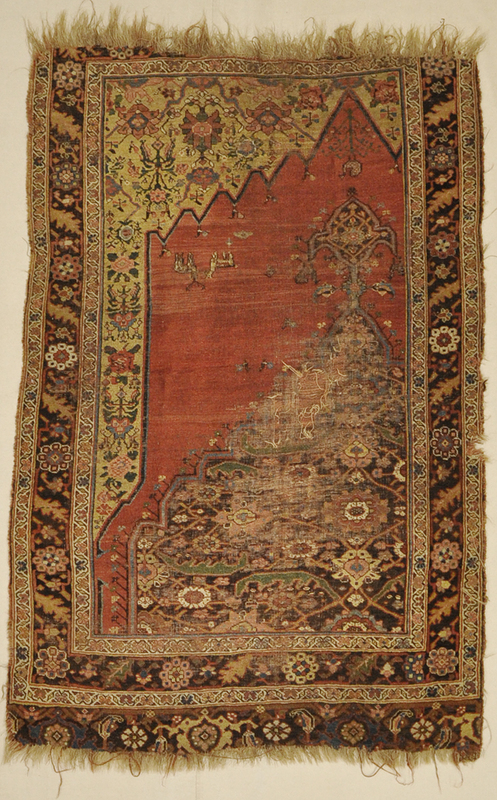 The wagireh, or at least exceptional wagirehs like this one, helped to maintain a seamless continuity between the manufacture of rugs as an economic industry and the enjoyment of rugs as integral part of cultural experience.